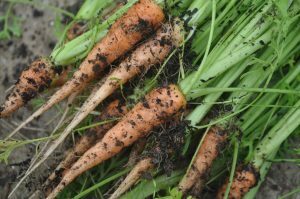 If, like the majority of gardening folk, you’re growing on a relatively small scale (for yourself and your family), then a higgledy –piggledy approach is definitely worth considering. Rows upon rows of the same thing are all very well and good if that’s what you like but I believe there’s room for more creativity and fun with a range of different types of vegetable and fruits to keep each other company. 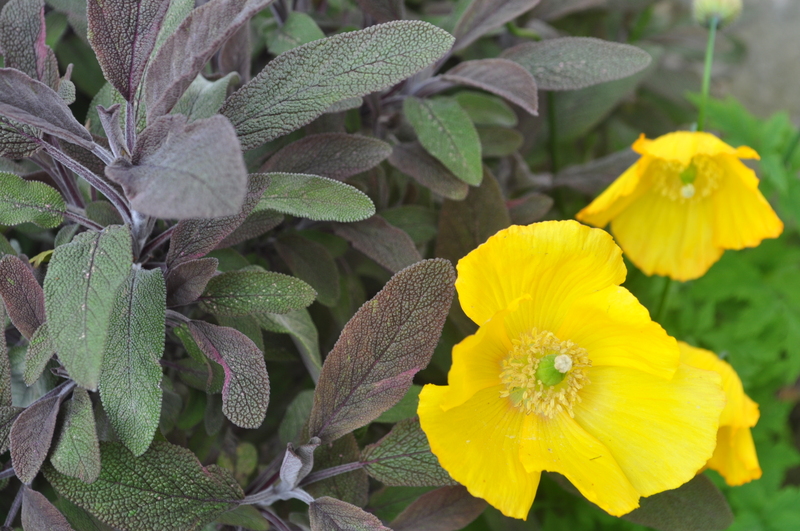 Especially when you inject herbs and colourful edible planting such as calendula, borage or nasturtiums into the mix. It’s effective and it looks good. Hungry brassicas generally follow nitrogen fixing legumes in a crop rotation cycle so why not cut to the chase by planting the two alongside each other throughout your patch. This way the likes of cabbage, broccoli and kale can cash in early on this beneficial mineral that their pea or bean neighbours generously release into the soil. 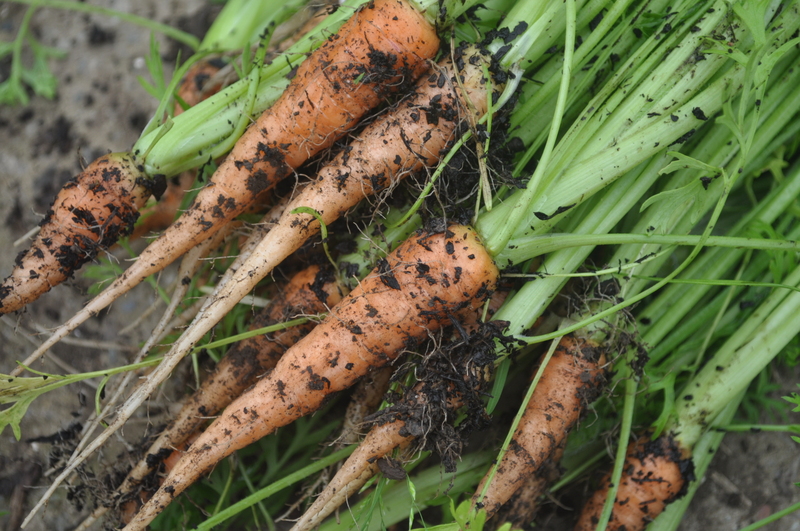 It’s a formidable pest the old carrot fly – able to smell out carrots from great distances and the destruction its young cause to your crop can be devastating. To avoid this simply grow your carrots mixed in (and surrounded by) other very strong smelling plants and every time you harvest some mask the trail by crushing the leaves or stalk of its pungent neighbours. Onions work well as do leeks, garlic, marigolds, fennel and chives. They also like a bit of beneficial companionship and chives are supposed to help prevent disease if planted around pear trees. While lavender is also said to help deter codling moths from apples. 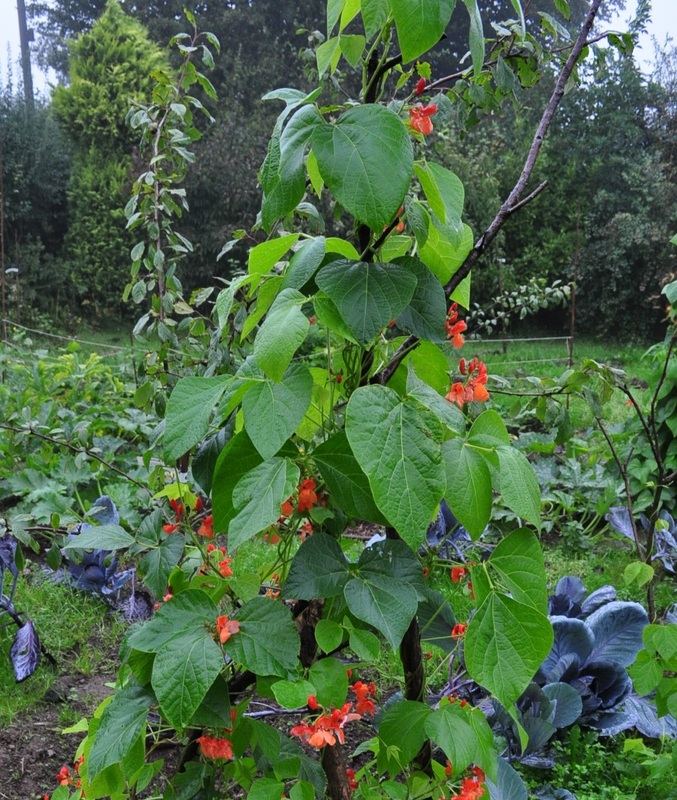 For me no veg patch is complete without at least a few of these rather fantastic, flavour and aroma packed plants. Life and indeed food just wouldn’t be the same without them; it would be dull and bland, which is no kind of life at all. Plus pollinators and beneficial insects love them so will be encouraged onto your plot to lend a helping hand if you grow some; rosemary, thyme and lavender being arguably the best in this regard. Fennel is another particularly worthy contributor as it’s a popular home for ladybirds, whose larvae are a powerful aphid munching force to be reckoned with. Easy to grow and extremely undemanding of their neighbours – they can be planted in any gaps, in and around much hungrier crops. It adds a welcome splash of colour and will attract pollinators. 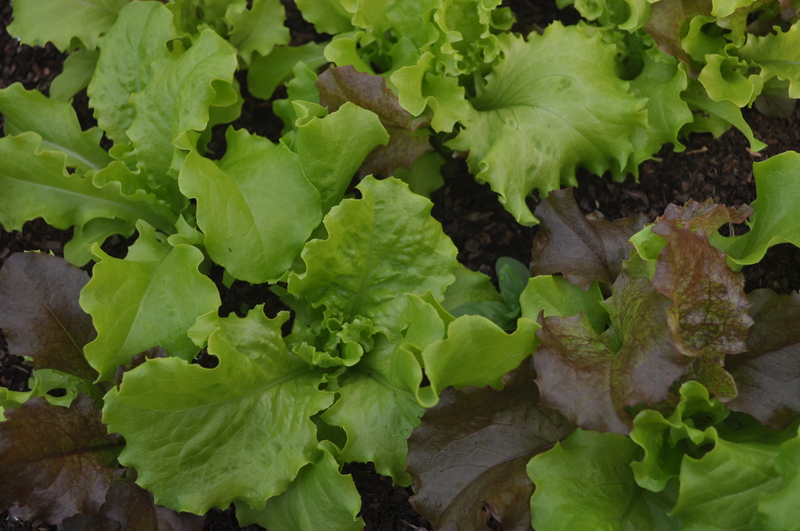 Additionally if you allow a few to go on and self-seed (lettuce, rocket, parsley and radish, say) then you will be rewarded with lots of free seedlings in return. Comprised of sweetcorn, squash, pea and amaranth, each of these plants, with differing heights and demands benefit each other as they grow. It’s a perfect example of how different crops can work in harmony together. Bees love borage and comfrey and garlic mustard can act as a good pest confuser. Celery harbours beneficial insects and stinging nettles really do have a lot of uses including overwintering ladybirds, so I really wouldn’t weed them all out. 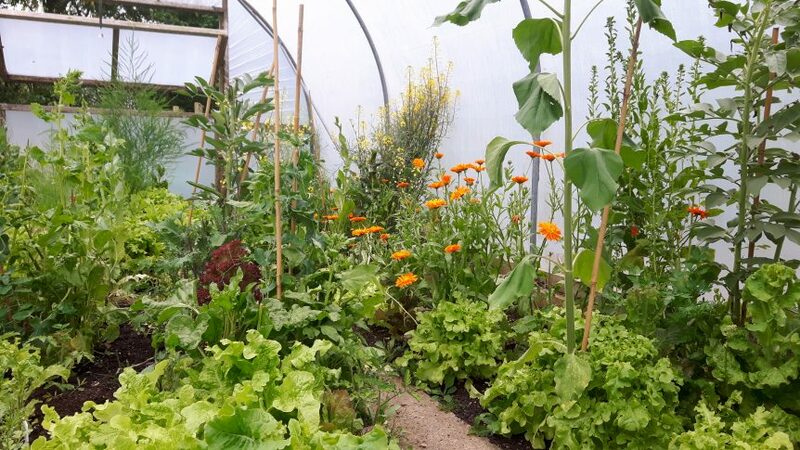 Calendula (aka Marigold) is one of the biggest heroes and as it looks so fantastic all manner of beneficial insects such as ladybirds, hoverflies and lacewings love it. Who can blame them! Last, but not least, have fun with it and create your own version of edible loveliness – enjoy!